In New South Wales the laws concerning the use of vehicles and roads are administered through the Road Transport Act 2013, Road Rules 2014 and the Law Enforcement Powers and Responsibilities Act 2002. The purpose of this legislation is to improve the safety of road users as well as reduce incidences of drivers having their driving capacity reduced by way of drugs or alcohol. This purpose may however be missed and there may result a miscarriage of justice in two possible situations. The first is when a false positive is returned on a drug or alcohol test by law enforcement that leads to an unjust conviction. The second is when a positive indication is returned despite the relevant substance being consumed a significant amount of time prior to the driver operating a vehicle and there is no reduced capacity to drive and a conviction is recorded. In this situation it may be possible to be acquitted as happened to Joseph Ross Carrall in Lismore Local Court in 2016. To avoid an unfair result, it is essential a person charged with an offence is represented by an experienced and skilled criminal defence lawyer. Under the Road Transport Act an offence will have been committed by a driver of a vehicle where the driver has any amount of a ‘drug’ or prescribed prohibited drug in their saliva, blood or urine or more than the prescribed legal alcohol limit. The legislation is drafted so as to make illegal the act of driving whilst the driver has any prohibited substance in their system as well as more than the permitted level of alcohol depending on the particular driver’s license type. The legislation also explicitly prohibits a person from driving a vehicle whilst there is present in the driver’s system ‘any’ amount of cocaine or morphine. This also applies where the person is occupying the seat in a motor vehicle next to a learner driver who is driving the vehicle. The fact that a person is driving a vehicle or is next to a learner driver who is driving a vehicle automatically gives police the power to test that person for the presence of legal and illegal drugs and alcohol. The only situation in which a driver will be allowed to continue to drive is following a negative indication to drugs or below the permitted alcohol level after roadside testing. Significantly, it is possible a person will test positive to drugs and/or alcohol even where that person has not consumed anything illegal or has consumed below the amount permitted of the relevant substance. In this situation a driver should request further testing which is permitted under the legislation. Currently police only have access to technology at the roadside which can test for alcohol, ecstasy, speed and ice in a person’s saliva. Where a driver tests positive to the presence of an illegal substance in their system at a roadside test, the driver may request a subsequent blood or urine test. This means drivers may evade possible drug detection where morphine or cocaine is in their system as these drugs can currently only be detected in blood or urine. 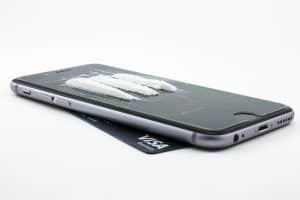 Furthermore, reports differ on the time period that the drug cocaine may be detected in a person’s system, with some saying the drug may be detected between 6 minutes to an hour after consumption, and others from 5 minutes to 24 hours after consumption. This also depends on the quantity of the drug consumed. Drug and Alcohol Solutions Australia provide that cocaine may be detected in a person’s system up to 24 hours after consumption. Where a driver is detected as having morphine or cocaine in their system, the prescribed penalty is a maximum of 10 penalty units or $2,100.00 in the case of a first offence, or 20 penalty units in the case of a second or subsequent offence. Where a driver is convicted for an offence against road transport legislation, a court may also disqualify that driver from holding a driver’s license for such period as the court specifies. In an appropriate case and depending on the seriousness of a charge against a person, a court may deal with a matter by way of a Section 10 under the Crimes Sentencing and Procedure Act which, upon a plea or finding of guilt, enables a court to order a dismissal of charges without proceeding to record a conviction. Courts take offences of driving under the influence of alcohol or prohibited drugs extremely seriously and it will always require proper argument and effective convincing as to why a court should not convict a person and record a conviction in such a case. Between January and September 2015, only four of the 3043 drug driving matters resulted in a finding of not guilty. The technology used by police for the detection of prohibited drugs in a person’s system has been criticized as very unreliable. In 2016 Lismore Local Court Magistrate David Heilpern criticized the testing of drivers by police and dismissed a charge for drug driving after the driver waited 9 days after smoking cannabis before driving. Despite this time period the driver tested positive to drug driving. The use of the drug cocaine is associated with euphoria, mental alertness, dizziness as well as violent and unpredictable behaviour. Police Minister Troy Grant recently provided that new technology which is able to detect the presence of cocaine in a person’s system will soon be used by police in their patrol of roads in New South Wales. Due to the uncertainty and unreliability of police road side drug testing it is essential any driver charged with such an offence is represented by an expert criminal defence lawyer to avoid an unjust result.